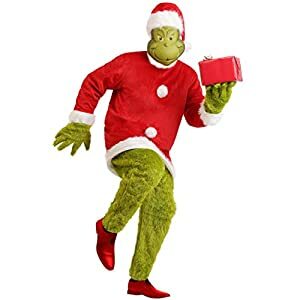 Show up to your Christmas party in a Santa Grinch costume from Dr. Seuss and your heart might grow three sizes too! In Dr. Seuss’ classic christmas book How the Grinch Stole Christmas, the Grinch dresses up as Santa Claus and enlists the help of his dog Max as his reindeer so that he can steal all the Who decorations and Christmas gifts. When he realizes that the Christmas spirit isn’t about the gifts or the decorations, his heart grows three sizes and he returns everything to Who-ville. Santa Grinch – Play the role of the miser who steals all of the Christmas gifts, realizes the error of his ways, and returns them in time to save Christmas! Max – Dressing up your dog with a pair of reindeer antlers would add to the effect of your Santa Grinch transformation. You may however need a sign that says Max for people to realize that he is your reindeer. 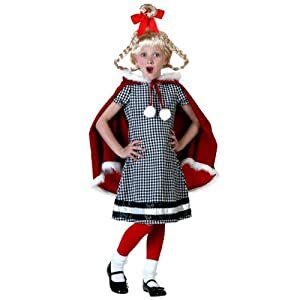 Cindy-Lou Who costume – In Dr. Seuss’ story, little Cindy-Lou catches the Grinch taking the Christmas tree and is fooled into going back to bed by the promise that he will fix a broken light on the tree back at his workshop and return it. Adding a Cindy-Lou costume for a child would complete the cute scene if you are the Grinch for Christmas. FOR TEENS AND ADULTS: Safety tested for ages 14+, Fits most adult men/unisex L/XL; 195-220 lb. Available Adult XS-3XL,Kids S-L,if these size can’t meet your needs, please choose custom made size, then send email to tell us your height, weight, chest, waist, arm length, leg length, inseam, then we will tailor it according to the detailed measurements. 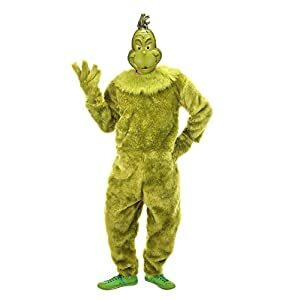 100% brand new Grinch staff; If you bought the mask, please cut the eye holes wide for clear vision. 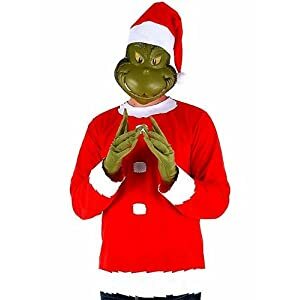 Grinch Santa costume with high grade cotton, polyester and plush fabric. 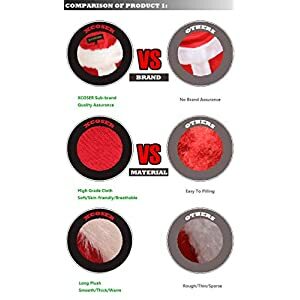 It’s thick, soft and warm, and comfortable to wear for the events, like Halloween, Christmas. 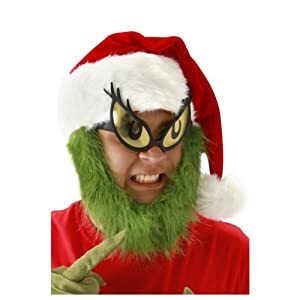 Grinch mask is made from non-toxic latex, eco-friendly spray painted. Odor: it’s the normal odor of latex, put it under ventilated place for one day, the odor will disappear. 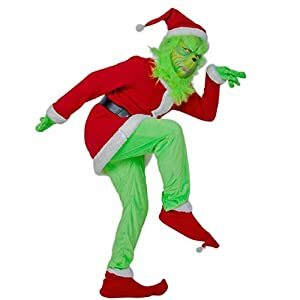 Three Options for choose: Option 1 Costume Only comes with Santa tunic, pants, belt and gloves; Option 2 Costume with mask; Option 3 Mask only includes green grinch mask. You can buy what you want for the coming holiday. 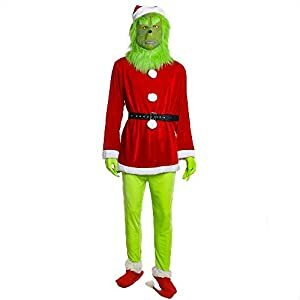 ECO-FRIENDLY & NON-TOXIC – Grinch mask with non-toxic latex,spray painted with water paint,non-toxic,no irritating smell and eco-friendly.Grinch santa jacket pants hats shoes gloves with high grade cotton, polyester and soft plush. Costume Replica of Captain Hook’s Sword as Seen on ABCs Once Upon a Time. Recommended for Ages 18 and Up. Rasta Imposta.